Lush shutting down its accounts: A publicity stunt or the future of social media? — LFA | Honest lifestyle, homeware & fashion PR. “We are tired of fighting with algorithms, and we do not want to pay to appear in your newsfeed”. With nearly 1.2 million followers across Instagram, Facebook and Twitter, Lush UK announced the closure of almost all their social channels earlier this week. A fight against the rapidly changing (and sometimes nearly impossible to keep up with) social media landscape, the cosmetics brand stated that it is becoming increasingly harder for them to reach out to and connect with their customers.  The fact that organic traffic is slowly declining, Lush along with many other businesses, are investing a lot of time and resources growing their audiences without getting much back. Which, understandably, is very frustrating. So what lies in the future of Lush’s social media marketing? While individual stores will still have their accounts, Lush UK, Lush Kitchen, Lush Times, Lush Life, Soapbox and Gorilla are all set for the axe by the end of the week. The customer care team will be responding to messages and comments via social media, however soon the only way to interact with Lush will be via email, phone or the website’s live chat. The plan forward is to put influencers and community building at the centre of their strategy instead. The bold announcement has stirred up quite the debate and has been met with surprised and critical reactions. Many believe that this move seems counterintuitive, especially with the influencers and sponsored content that dominates the beauty industry. Some argue whether it’s a risk too far? Others believe that Lush will be able to grow without social media and that the radical switch-up will enable the brand to offer their customers an experience that is more one-to-one, rather than one-to-many. Some argue that the bold leap is an odd choice for a well-established retailer and that it’s not a future-proof plan. Others suggest that changing its use of social media is a better bet, rather than shutting down most accounts completely. By eliminating their channels, they are eliminating potential consumers from learning about their brand as well. The counterargument to this is that taking a step back from social media enables the cosmetic chain to create a more real-life, personal and tailored experience for their customers. Moving their traffic and audiences into their own channels Lush is in a position where they can mould their image entirely and are in complete control of their brand. 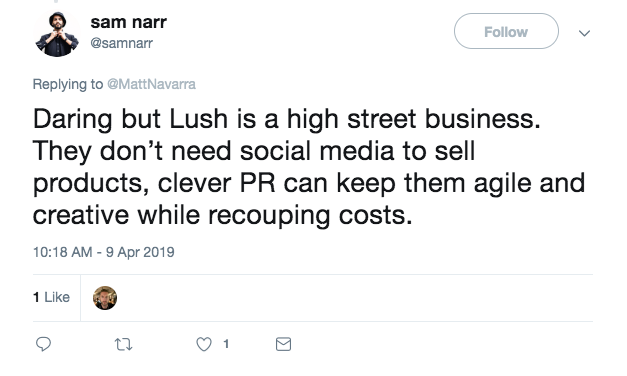 And with an increased focus on their community and influencers, can Lush ditch social but still successfully drive forward their influencer marketing? Whether they stick with their decision of abandoning social media almost completely or not, Lush will need to find new ways to excite and engage their current customers, while still driving conversation with new ones. Is this a move other brands will adopt as it becomes more difficult to stand out on social media? It will be interesting to follow. Social media is a great way to build your brand when done the right way. See how it was an integral part of Lowie’s growth and strategy here.